Welcome to this issue of newsletter delivers you updated info. Thank you for your continuously support to RAYSTAR News. 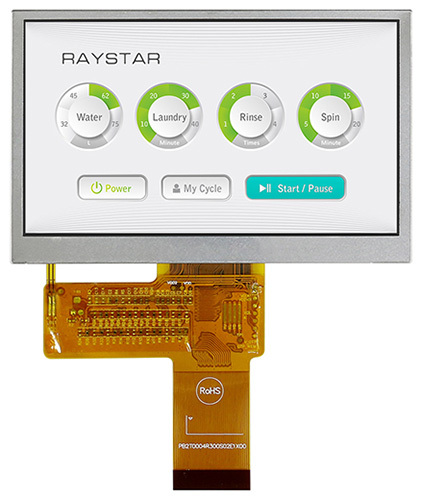 In September, we will introduce 4.3” & 5” TFT modules. 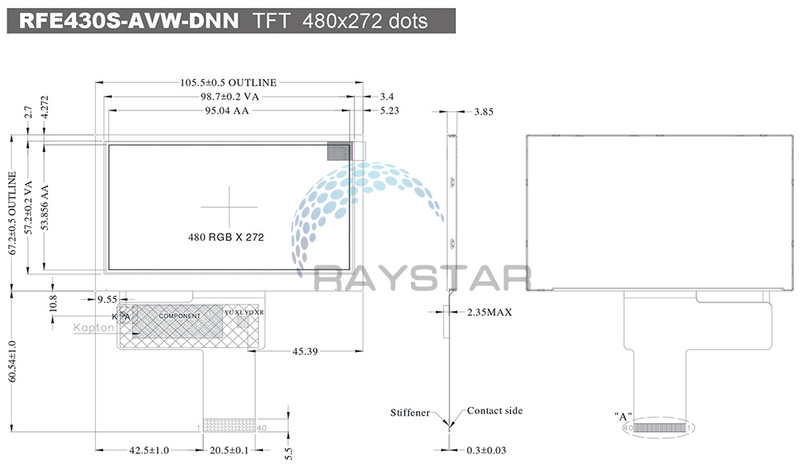 RFE430S-AVW-DNN is a 4.3 inch TFT-LCD module with resolution of 480x272 pixels. This TFT-LCD is featured with VA panel which is having the advantages of wider viewing angle of Left:80 / Right:80 / Up:80 / Down:80 degree (typical) and wider temperature. It can be operating at temperatures from -30℃ to +80℃; its storage temperatures range from -40℃ to +80℃. 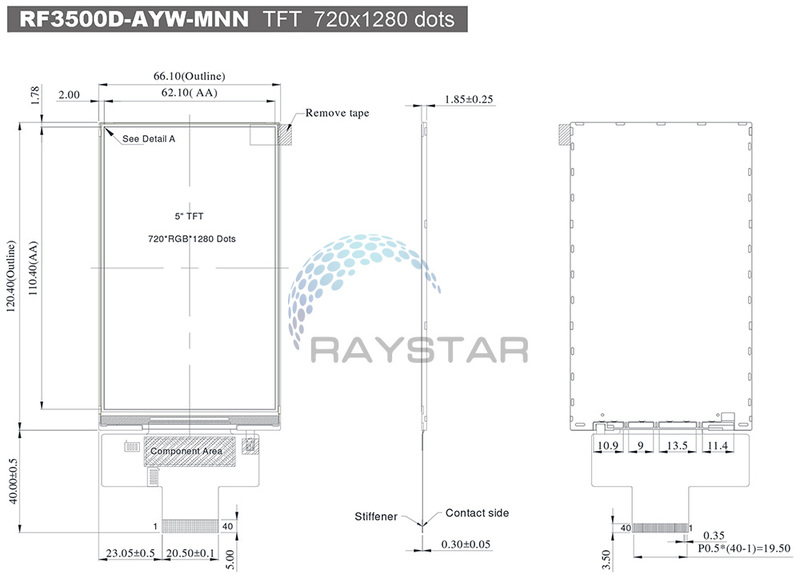 RF3500D-AYW-MNN is a 5 inch IPS TFT-LCD display module, resolution 720 x1280 pixels. This 5 inch TFT-LCD module supports RGB interface and is featured with IPS panel which having the advantages of wider viewing angle of Left:80 / Right:80 / Up:80 / Down:80 degree (typical) and having HD resolution, contrast ratio 800 (typical value). It can be operating at temperatures from -20℃ to +70℃; its storage temperatures range from -30℃ to +80℃. This 5 inch TFT LCD module is having module dimension of 66.10 x 120.4 mm and AA size of 62.1 x 110.4 mm; it integrated driver IC ILI9881C on module, power supply for analog range 2.5v to 3.6v. This TFT module is portrait mode, if you would like to use landscape mode please contact with us for more technical support.